Romance Content: Not much; it does talk about when Mr. Zvi met his wife (and eventually when their son met his wife), and their relationships… I don’t remember kissing or anything, but it does talk about “falling in love”, etc. Wow. This book was amazing- and what’s even more amazing is that it is a true story! 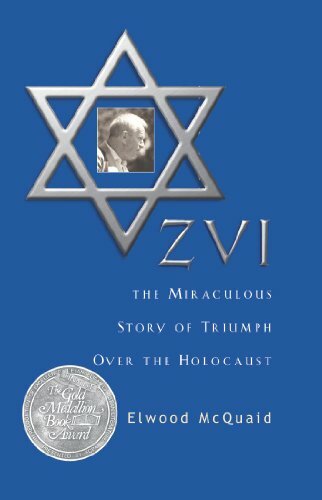 God’s Hand is clearly shown throughout Mr. Zvi’s (I can’t remember his last name) life. It also gives good ideas of how to witness to Jewish people. I would highly recommend this book. Thank you all for supporting this blog, even when I wasn’t active! I can see how the Lord has worked in my life to make this possible. Wow, that book sounds really good…and sad. I do love WWII books though! Congrats on your great stats! 101 posts is a lot! (Wow, so its 103 followers…!) I have really enjoyed this blog, so thanks for posting!